You might remember Thomas Pynchon from such acclaimed literary works Gravity’s Rainbow, V (not the one about alien lizards), and Inherent Vice. But who are we kidding? Odds are you recognize the name because he was on The Simpsons a couple of times. The author is famously reclusive—very few photographs of him exist, and his address and even hometown are well-guarded secrets—and as a nod to that, his two Simpsons appearances depicted him with a bag over his head. 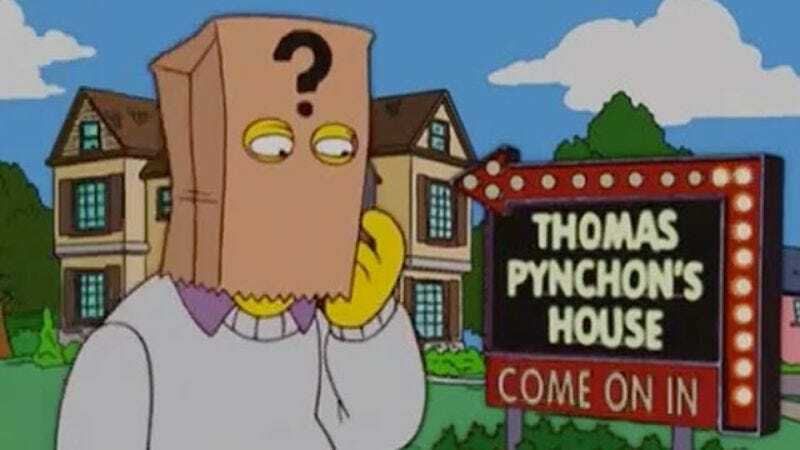 Pynchon’s Inherent Vice is being adapted by Paul Thomas Anderson and hits theaters this fall; The Simpsons just wrapped up its FXX marathon and the concurrently running “Okay, Enough With The Simpsons Quotes, Really,” marathon on your Twitter feed.